I was lying on the CT scan patient's table praying for a favorable result while enduring severe abdominal pain. All I care that moment was for the pain to subside. Summer of 2014, I had emergency explor-lap (exploratory-laparotomy) due to acute appendicitis with peritonitis as a complication. Back then we don't have social health insurance or any health card thus most of our savings went to hospitalization. Appendicitis is often an emergency case. That experience taught us a lot of lessons. First of all is the need for medical insurance and health card. It was an eye opening for us. Only 4% of Filipinos enjoy comprehensive HMO coverage, and most people who have that coverage only do because they work for large corporations that are given bulk discounts. This means that most Filipinos simply aren’t prepared even for minor hospitalizations, from still all too common bacterial or viral diseases. With such eventualities do occur, the financial cost will very often lead debt that has to be paid over a period of several months. Ever attentive to the needs of Filipinos. 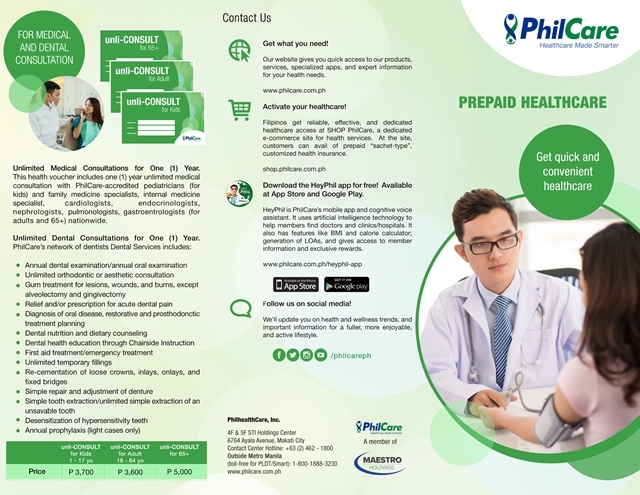 With the regular Filipino’s financial reality in mind, PhilCare created the Health Vantage prepaid card. 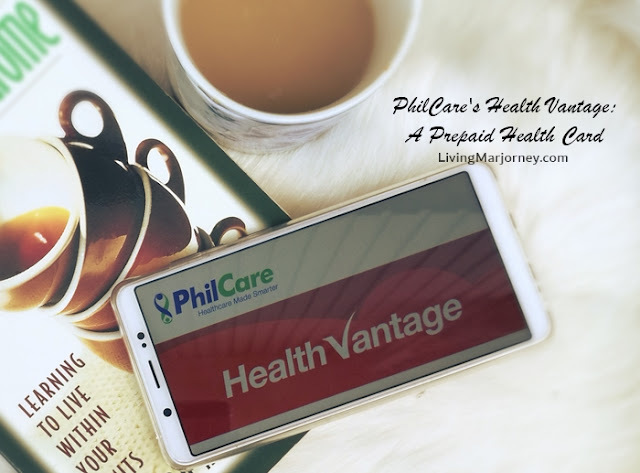 With PhilCare’s Health Vantage, Filipinos pay only what they can afford, for a multi-use prepaid health card that covers ER, hospitalization, and the bulk of other services that go with it up to a limit that is many times the cost of the Health Vantage Card. PhilCare’s Health Vantage is also available for individual purchase online. Health Vantage is the most affordable way to approximate the HMO coverage that employees at big companies get under comprehensive, bulk group plans. Convulsions; illnesses or conditions resulting in moderate or severe dehydration such as diarrhea or fever. ER Vantage comes with a death of dismemberment payout. Adults range from Php 3,750 to Php 9,950, amount of coverage is between Php 40,000 to Php 80,000 depending on the Health Vantage card/voucher purchased. For kids the prices range between Php 3,850 to Php 13,950. Pre-existing conditions and those conditions under the general exclusions of PhilCare are not covered. For more details visit Health Vantage. My hospital bill includes laboratory, room and medication. 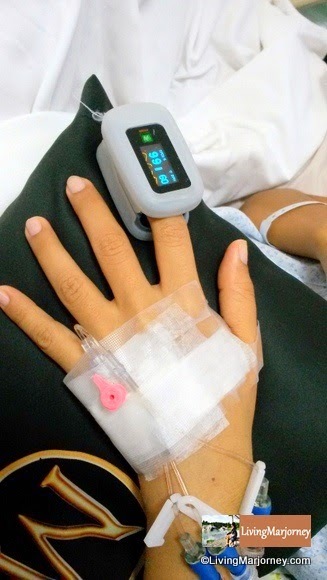 I think a huge amount went to medicine which includes three types of strong IV antibiotics. I was also on IV pain reliever. Other modalities such as CT scan were not included in my bill. We have to do it in another hospital and rented an ambulance for transfer. Next year, 2018 I promise to invest and work hard on health and wellness. My 2018 Health Plan will focus on improving lifestyle and time management. How about you? PhilCare's HMO Coverage sounds promising. It's easily accessible, convenient and affordable. I am thinking how to secure an HMO as a freelancer.